Man Utd could reportedly be set for major changes in defence this summer, with two players going out and two coming in to replace them. Fresh after former United ace Phil Neville slammed defensive duo Chris Smalling and Phil Jones after their performances against Newcastle United this weekend, as per the Daily Mail, it has been claimed that the pair could now be at risk of being offloaded this summer. According to The Mirror, Jose Mourinho could choose to sell them both in his bid to splash out on key replacements, with £50m-rated Leicester City defender Harry Maguire and Real Madrid star Raphael Varane specifically mentioned as targets. It’s arguably also worth considering the fact that Man Utd still have Eric Bailly, Victor Lindelof and Marcos Rojo in this equation, and so they do have significant depth in that department already. Further, they do still boast the best defensive record in the Premier League having conceded just 19 goals in 27 games, and so Smalling and Jones haven’t been poor to the point that they’ve been an entire liability at the back. 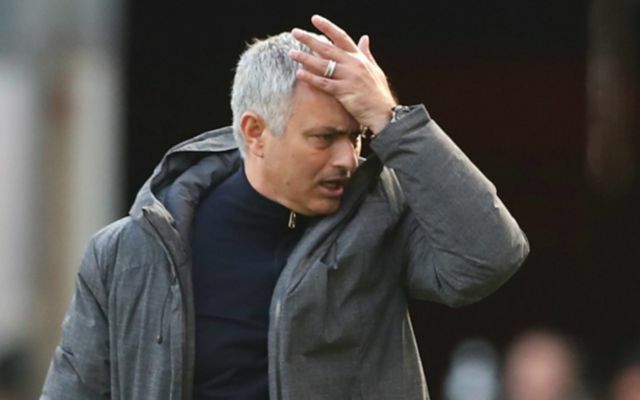 Nevertheless, based on the report above, it would suggest that Mourinho isn’t content with his current options and that could lead to quite the change in the defensive line at Old Trafford this summer. Smalling, 28, joined the club in 2010 and has gone on to make 273 appearances in all competitions, while Jones, 25, arrived a year later and has 188 outings to his name. Both seemingly still have the best years of their respective careers ahead of them, but as it seems that they’ve failed to entirely convince at Man Utd, it could now cost them as the report would suggest there could be significant changes to the defence. As noted above though, it’s questionable as to whether the Red Devils are looking at the right end of the pitch. With just 51 goals scored in 27 league games, that would appear to be the more pressing matter.